Since antiquity, the history of Western sculpture has been closely linked to the idea of the body. Whether carved, modeled or cast, statues have been designed for centuries as solid monoliths – as substantial and self-contained entities, as more or less powerful and weighty positive formations in space. Our expectations concerning modern or contemporary sculpture are still essentially driven by the concept of body sculpture, which is formally based on the three essential categories of mass, unbroken volume, and gravity. Whether body-related like Auguste Rodin's or abstract like Richard Serra's, sculpture is still and foremost mass, volume, and gravity. The exhibition "Negative Space" endeavors to change the dominating view of modern and contemporary sculpture by telling a different story. 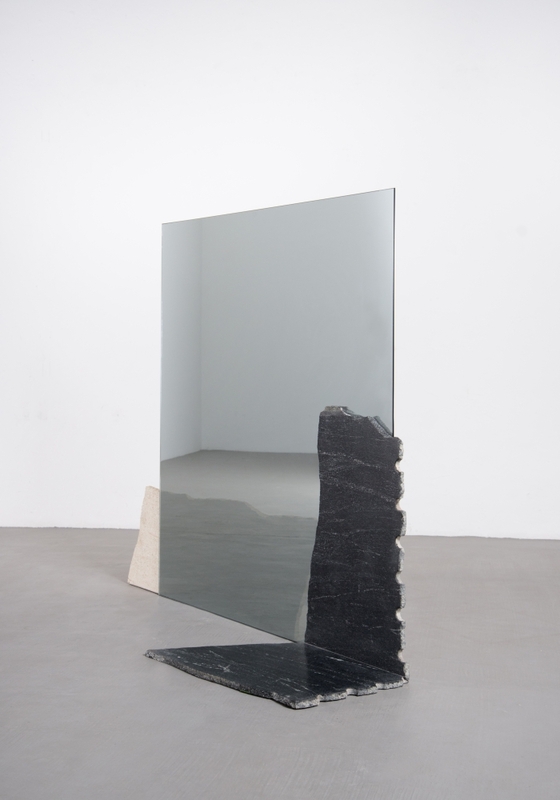 With the aim to investigate the relationship between sculpture and space in a decidedly spatial way, the presented art works address the sculptural phenomenon in relation to diverse spatial concepts: Open spaces, surrounding, hollow and intermediate spaces, mirror, light and shadow spaces, virtual data spaces, etc. The exhibition offers a comprehensive overview of the art of sculpture, which – in contrast to the traditional concept – is committed to contour, emptiness, and levitation. Visitors will encounter what is light instead of heavy, what is not full but empty, what is marked open instead of closed, what is not dense but diaphanous, airy, and light. As a result of significant advances in the natural sciences and in architecture, in combination with novel materials, innovative construction techniques and a new focus shifting from the two-dimensional surface of non-objective painting to three-dimensional space, a major leap from body sculpture to spatial sculpture took place at the beginning of the 20th century. Thereby the artistic imagination was not only spurred by contemporary spatial theories. Artists drew aesthetic inspiration in particular from concrete model forms made of plaster and wire that were to illustrate mathematical equations. Therefore in addition to the artistic works, mathematical models from the 19th and 20th century will be presented from the collections of the universities of Darmstadt, Freiberg, Georg- Göttingen, Heidelberg, and Karlsruhe. By featuring more than 200 pioneering artistic positions, which develop novel approaches to sculpture through processes and models of abstraction, construction and non-objectivity, the exhibition provides manifold artistic references to unfold the concept of "negative space". The trajectories of spatial sculpture will be traced along the lines of cubism, constructivism, neo-constructivism, minimal art to present-day installative immersive environments.